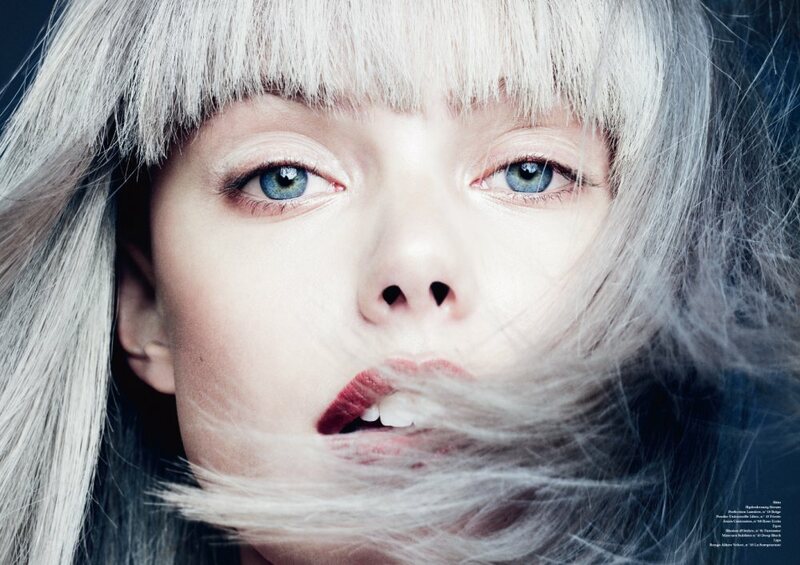 The latest issue of Contributor Magazine features models Frida Gustavsson, Theres Alexandersson and Madelene de la Motte in a dramatic editorial befitting of their striking beauty. Hasse Nielsen captures the enigmatic trio in a series of illuminating high impact close-up beauty shots. Gustavsson, de la Motte and Alexandersson look astonishingly beautiful as they morph into character allowing Nielsen to emphasise the individual beauty of each model. The classic beauty of Gustavsson paired with de la Motte's extreme feline-like features and Alexandersson's aristocratic air, work in unison to create visually intoxicating editorial.